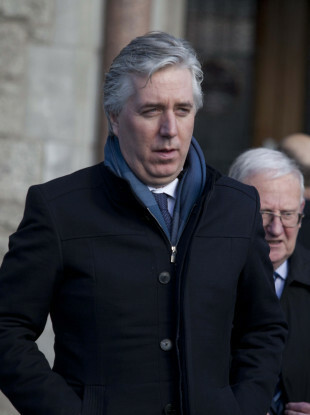 TAOISEACH LEO VARADKAR has described a bridging loan given to the FAI by its own chief executive John Delaney as “a bit unusual”. Delaney said he issued his employers a personal cheque worth €100,000 in April 2017 which he described as “a once-off bridging loan to the Association to aid a very short-term cash flow issue”. Delaney said that the money was repaid in full in June 2017, and that it was the only occasion on which he issued the Association with a loan. He further addressed the loan in a second statement published by the FAI last week, in which he said he acted in the FAI’s best interests. Sport Ireland yesterday said it was seeking “urgent clarification” surrounding details of the loan. The statutory authority released a statement to clarify that it had not received any notification regarding a reduction in the association’s financial position. Email “Taoiseach describes John Delaney's €100k bridging loan to FAI as 'a bit unusual'”. Feedback on “Taoiseach describes John Delaney's €100k bridging loan to FAI as 'a bit unusual'”.